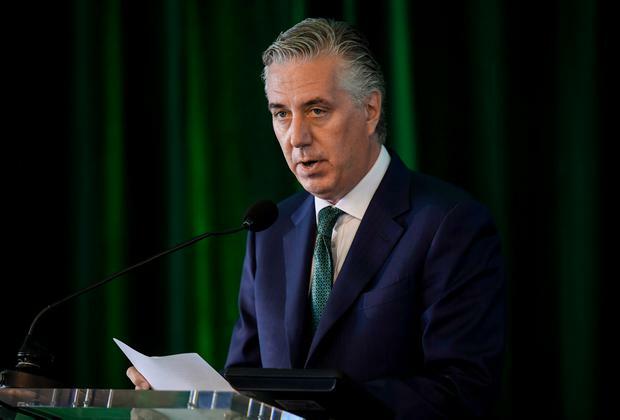 WORKERS at the FAI are demanding an explanation for why they were suffering from pay cuts when the organisation was paying €3,000-a-month rent for its CEO John Delaney. In a statement today, trade union SIPTU said its members at the footballing body were “incensed” by the revelation that in 2016 it was paying for Mr Delaney’s rent, after their wages had been slashed. “This was during a period when the organisation was claiming to be unable to restore the pay and conditions of employment of our members due to financial constraints,” said SIPTU organiser Denis Hynes. “FAI employees were enduring reductions in salary of between 10pc and 15pc, which were implemented on what was meant to be a temporary basis in 2012. Over the weekend the FAI released a statement about Mr Delaney’s move to “executive vice president,” confirming he would take a pay cut and attend an Oireachtas committee meeting. However it did not address the issue of the rent being paid for him for a house in Kilmacanogue, Co Wicklow. “It would now seem to be the case that, in 2016, the FAI decided to reimburse the reduction in its CEO’s salary through a payment in kind on a large property,” said Mr Hynes. The union has called on the FAI to immediately make a statement on its “exact financial arrangements” with Mr Delaney. The FAI has been contacted for comment.